If all this business relating to his possible hypothetical maybe-paternity has reminded us of anything, it's that we've got a big ol' weird media crush on Mia Farrow's son Ronan Farrow. 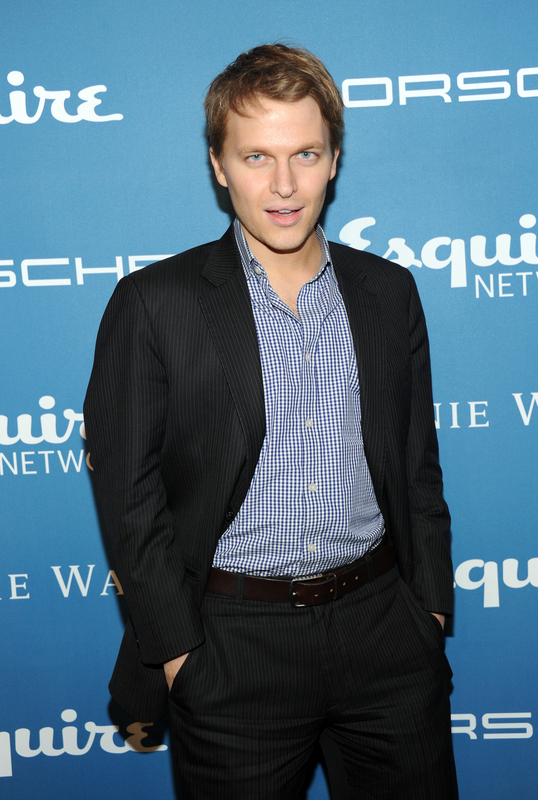 Looks like we're not the only ones, either, because MSNBC has officially given Ronan Farrow his own show. That's right, folks: You'll get to look into those bright baby blues on a very regular basis. Farrow didn't just inherit his movie star mother's good looks — we're not even gonna mention the Frank Sinatra resemblance except it's really tempting and oh look we just did it anyway — he also got her political activism. It's this that Farrow, who's worked as a journalist and as a foreign policy official for Obama, plans to bring to his new show. "I think what people crave is more involvement in the story," he said in an interview with The Hollywood Reporter. "There has been a democratization of information. But what they still crave, and what I crave as a TV viewer, is a guide on how people can have agency in the story. And this show is all about empowering people to do that. People want a return to real democracy. They want to respond to these events [in Washington] that there is so much frustration about." Ugh, hot and smart. And really good at tweeting: Farrow's got one of our favorite twitter feeds out there right now. Let's take a walk through Farrow lane, k? He combines political commentary with Destiny's Child references, how can we not love him?!?! WE ARE ONLY HUMAN. He's just got a great sense of humor about politics and the world. Not to mention about himself. Did he just parlay Britney Spears into Marxian theory? YES HE DID. Some of them just have nothing to do with politics but they're still hilarious. And he may be famous, beautiful, and perhaps produced by the loins of the late great Frank Sinatra, but he still has that self-deprecating humor we require in our crushes. To use the well-worn internet phrase: We just can't. We are fresh out of cans. Excuse us while we sit here impatiently waiting for the January premiere of his show.